There's a reason Tehvandi, the huge facility at the edge of town, calls itself 'Estonia's no.1 Ski Resort'. For cross-country skiing, this has always been the place to go - or at least since 1978 when it was founded as a training centre for the USSR's Olympic athletes. 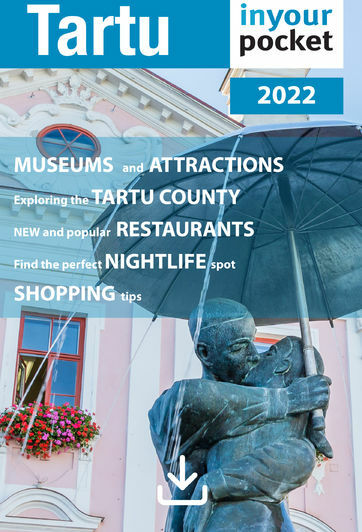 Nowadays it's still the key site for sports competitions and events like the Tartu Marathon. Families and tourists also come here to enjoy the facilities - which include a guesthouse, saunas, dining hall and fitness centre. There are a lot of outdoorsy activities on offer throughout the year, but in winter it's the ski and hiking trails that are the main focus. Anyone can use the trails free of charge - pick up a map from the reception inside. Be warned though that the trails here are fairly tough. Artificial snow track 1 km, training and competition tracks 5 or 7,8 km and a hiking track 10 km.